Everyone knows that Christmas elves like to frolic and prance around mischievously. But did you know they can dance to Bhangra? A nice little feel good performance for the community. 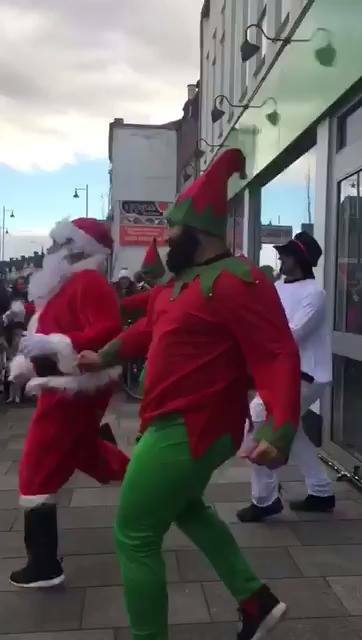 Watch these Bhangra dancing elves, filmed on the streets of Southall, west London, showing you how it's done.